Teachers on shoestring budgets struggle every day for creative ways to unlock young imaginations. High tech equipment with sky high price tags often isn’t in the cards these days, but that’s okay. Something as simple as this learning device, designed to bring to life everyday images locked in children’s minds, can foster problem-solving abilities as well as reading and math readiness – based on one simple principle: It’s fun, and it’s affordable. It’s effective because it offers hands-on, interactive learning with a simplicity that appeals to young learners. There are many approaches to learning that help all children learn and succeed. Each child is unique and learns in his own way. You can support the individual ways children learn by planning activities and using our lesson plans that will nurture their curiosity, support and increase their abilities, and help them find creative solutions to problems. 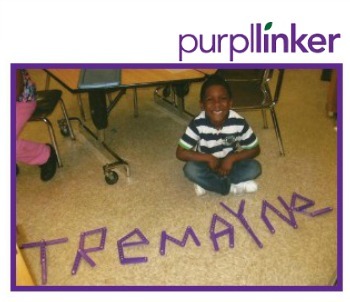 Purpllinkers are learning devices that support all areas of child development and foster children’s imagination and creativity while building fine motor exploration. If it doesn’t fascinate you immediately, it’s only because you’re not a 4-year-old. 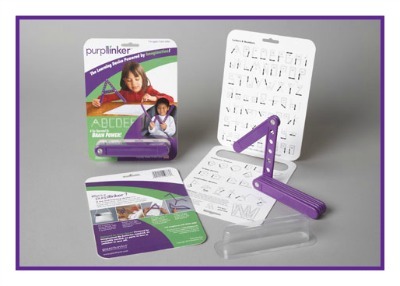 The Purpllinker is also packaged in thirteen or twenty six piece bulk packages for classroom usage.